Check out our Belt Heaters. Check out our Drive Roll Heaters. Check out our Heated Grizzlies. Check out our Liner Heater Systems. Check out our Panel Heater Systems. 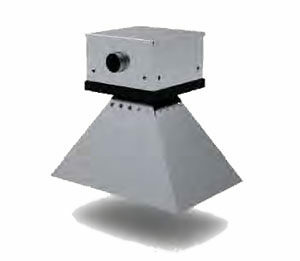 Check out our Point Heaters. Check out our Remote Heaters. 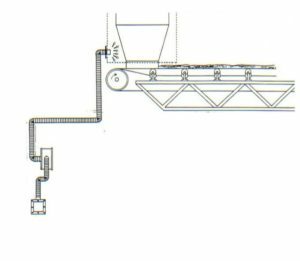 The standard Model A belt heater is the most economical unit for the elimination of material slide-back on conveyor belts up to 42” wide and traveling up to 450 FPM. 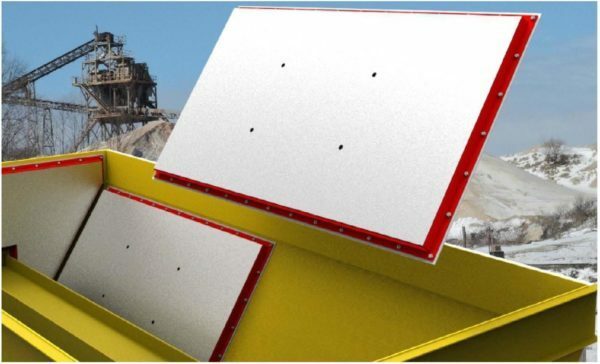 However, it cannot be installed within an enclosure containing coal dust or other flammable substances. 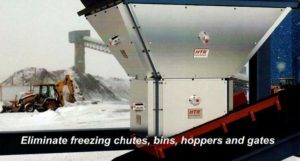 The standard Model B conveyor belt heater is normally used to treat material slide-back on conveyor belts over 42” wide and at speeds greater than 450 FMP, or where a Model A Conveyor Belt Heater unit is not applicable due to mounting limitations, or when the tail section is located in an enclosure containing coal dust or other flammable substances. 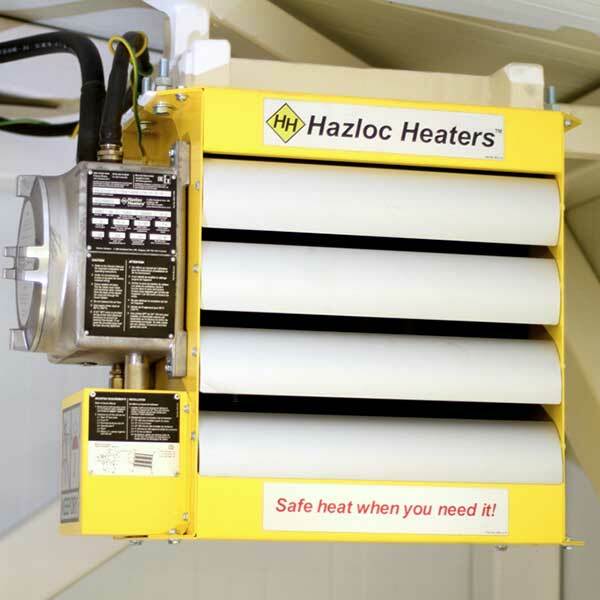 This heater can be designed to treat virtually any size belt at any speed. The bottom of this heater is open to prevent material accumulation. 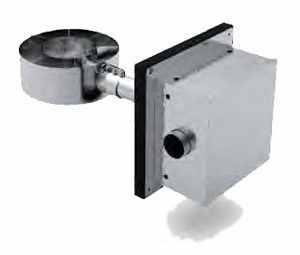 The standard Model C belt heater is used on slower moving belts or when space limitations prohibit the use of a Model A Belt Heater or the Model B Belt Heater. 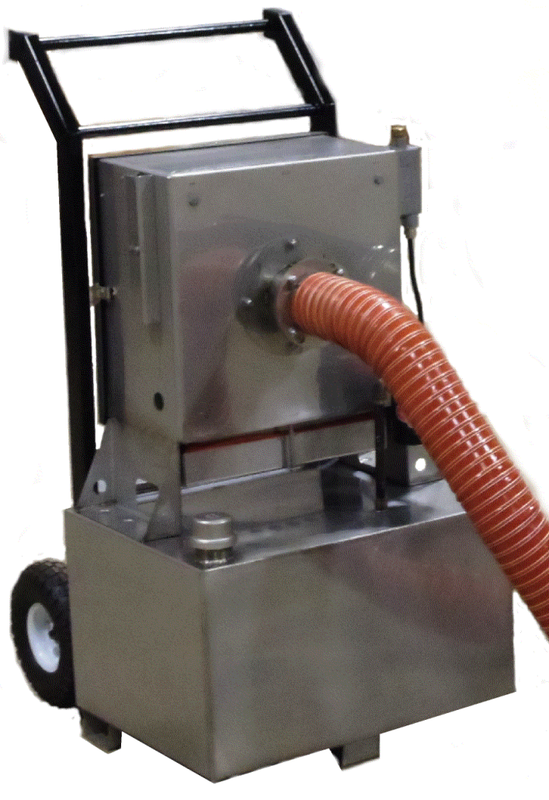 The rigid tube that connects the control unit to the combustion chamber is furnished in lengths up to 48”, allowing the control unit to be located away from spillage areas. This illustration shows a Model D heater with an AR combustion chamber being used to de-ice a belt to eliminate material slide-back. This type of installation is desirable when the tail section of the conveyor belt is inaccessible or space is limited. 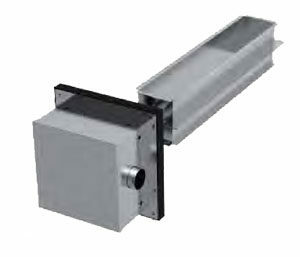 The Model C Drive Roll Heater is used to eliminate drive roll slippage. 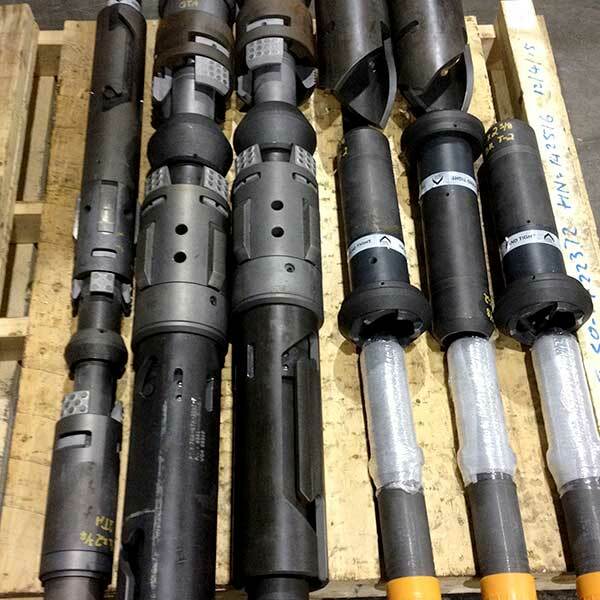 This system is economical to operate, even on large belts at high speeds as long as it can be located close to the drive roll so as to allow escaping heat to contact the roll surface. 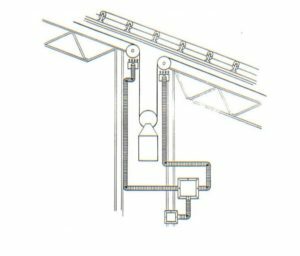 As with all belt heaters, when the drive roll is in an enclosure containing coal dust or other flammable substances, the unit must be installed outside in the free air. 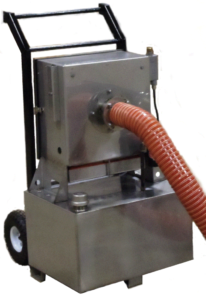 This typically requires a higher heat output to raise the belt surface temperature enough to de-ice the drive roll. This system is used in place of a standard Model C Belt Heater when it is desirable to have the control unit located away from the drive roll due to inaccessibility or space limitations. The same conditions apply to this model as those stated for the standard Model C heater. Electronically heated bars or grids internally heat traced eliminates freezing regardless of the temperature or moisture content of the product. 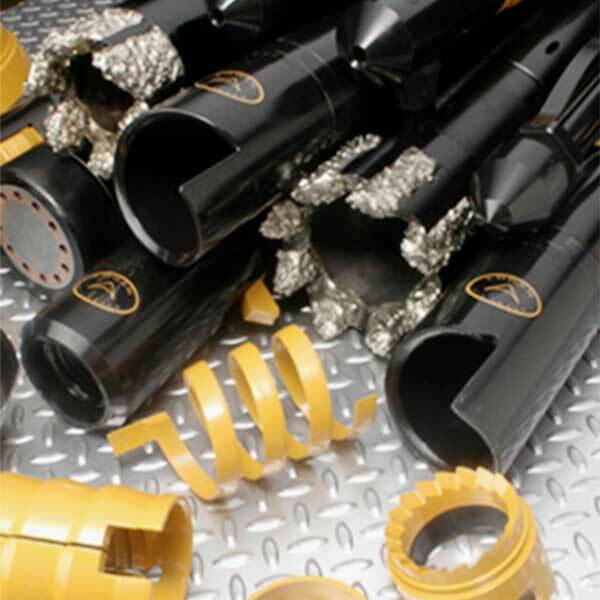 Electrically heated wear liners custom fabricated to fit your exact application. Save as much as 90% on fuel costs compared to heating makeshift enclosures. Eliminate major construction costs and confined spaces associated with enclosures. 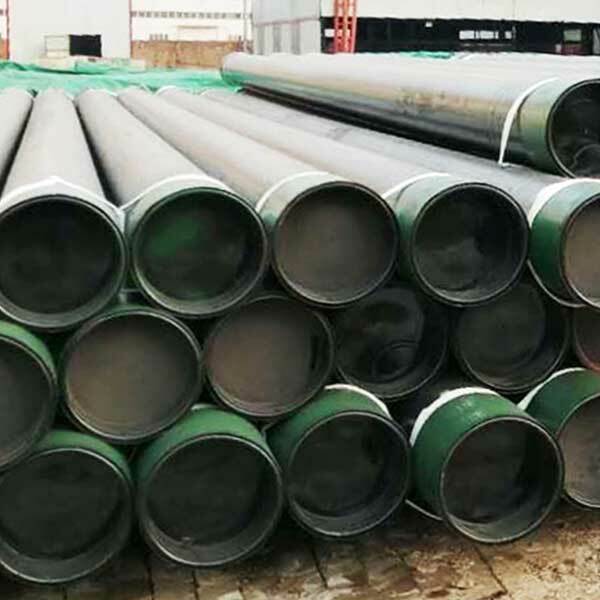 AR 400 Face can be overlaid with additional wear plate, ceramic, UHMW, etc. 5 Year warranty on replaceable heating element. 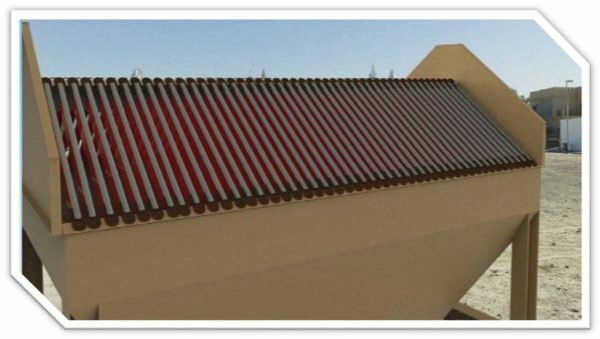 Electrically heated panels custom fabricated to fit your exact application. Save as much as 90% on fuel costs compared to heating enclosures. Eliminate major construction costs and confined spaces. 5 Year warranty on replaceable heating element, lifetime stainless construction. Available for flop gates, clamshell gates and sliding gates. The Point-Heater™ offers all the features and benefits of Thermo-Tech’s Conveyor Belt Heater de-icing system with the added versatility of being portable and use of interchangeable combustion chambers that allow for any heating or de-icing needs. 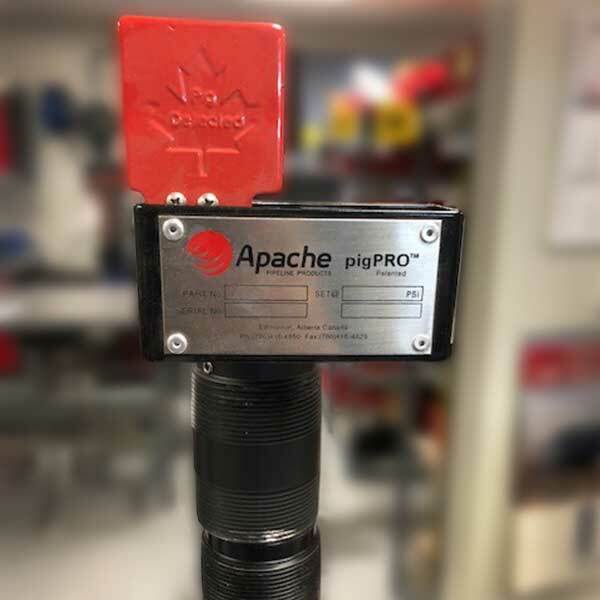 Lightweight and easily moved with set up in minutes, its unique, compact design and remote output enables direct heat exactly where it is needed. 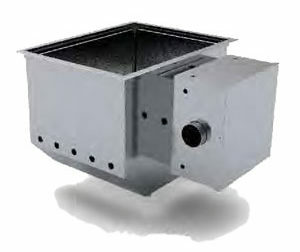 Combustion chambers can be located up to 40′ from the unit. The Point-Heater has an adjustable heat output of 35,000 – 400,000 BTU and runs on propane, diesel, kerosene or jet fuel. 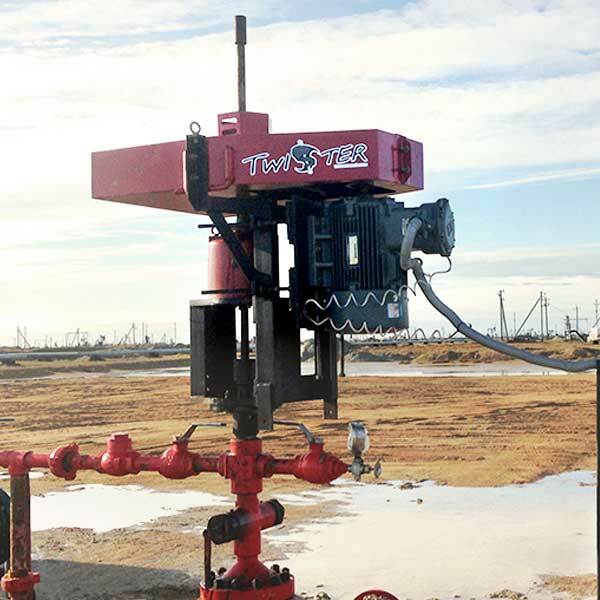 This unit utilizes a remote combustion chamber to de-ice a clamshell gate that is used to load materials onto trucks. The combustion chamber is rigidly attached to the gate and is allowed to swing with it by means of the flexible tube that carries the fuel, air, and electrical requirements. This unit is shown heating a belt scraper. The bottom of the remote combustion chamber is open to eliminate material accumulation. This unit is shown heating a feed chute. The dotted line represents an enclosure that is required to contain the heat generated at the end of the flexible tube. This design allows two combustion chambers to be operated from one control unit and is an economical method for heating two areas simultaneously. The above illustration shows two snub rolls being heated with one unit.